Green lanes, green fields, golden gorse and bluebell woods welcome to the Parish of Parkham which sweeps upwards from the North Devon Heritage Coast between Peppercombe and Bucks Mills. The parish rolls south through tiny hamlets including Northway, Horns Cross, Foxdown, Hoops, Newhaven, Goldworthy, Ash and Broad Parkham widening like an outstretched hand to the outer limits from Yeo Vale to Powlers Piece and the Melbury Forest. 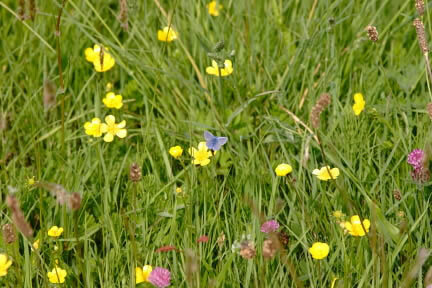 This is farming country enhanced by sheltered valleys and ancient woodland, traditional high-banked Devon hedgerows and wild flower meadows. It is possible to walk the length of the Parish along the Southwest Coast Path which meanders high above Peppercombe, through Sloo and Worthygate Woods and down to the parish boundary marked by a stream at Bucks Mills. The "King of Bucks Mills", Captain James Braund no longer reigns but the lime kiln, "East Kiln" is still standing proud. In olden times when lime was used to fertilise the fields it took two or three horses to haul a cart full of lime up the steep slope from the beach. Peppercombe Hamlet was important years ago because it had a coastguard station. There was once a "castle" perched on the cliff edge above the beach which was said to be occupied until around 1908. What was once a tennis lawn below the castle is now Peppercombe Meadows where wild flowers abound during Spring and Summer. Both the Peppercombe lime kiln and the castle were swept away a long time ago but remnants of the walls are still just visible under the mass of vegetation. Horns Cross, on the A39 Atlantic Highway, sits astride the boundary between Alwington and Parkham. The many public footpaths which criss-cross the parish make it possible to walk right through this spectacular countryside to Parkham Village. At one high point it is possible to scan the panorama and see the spires of three adjacent parish churches Alwington, Buckland Brewer and Parkham. Melbury Forest, almost 629 feet above sea level, can also be seen in the distance. Parkham village today has a butchers shop, a pub, a school, a hotel and a village hall. Allardice Hall, which celebrated its 50th Anniversary in 2007 is used regularly by community groups, chapel, church and school for a host of fun and fundraising events. In 2010, after four years of fundraising, the village hall roof was renewed and solar panels now generate electricity to power the building. The parish church of St. James is in a peaceful setting behind what was once the Village Green and has an 84 feet high tower. G. E. Honey & Son Butchers was established in 1902 and is still supplying quality meat from its shops in Parkham and Mill Street, Bideford where they relocated in 2000 after many years trading from premises on Butchers Row in Bideford Pannier Market. Their little van is still delivering to rural customers around the Bideford area. There are three long established pubs in the parish serving good food and real ales, the Coach and Horses at Horns Cross, the Hoops Inn a little further down the A39 and the Bell Inn in Parkham village itself. In the early 1900s the Rector, Parson Smart and his wife lived at the Rectory which is now the Penhaven Hotel. They had a carriage and employed a coachman, butler, three maids and a couple of gardeners. How times have changed. Although job descriptions and farming practices have evolved, annual rural traditions still hold and the seasons are still marked by flower strewn or berry packed hedgerows, the growth and colour of barley, corn and wheat crops before harvest time. Hedge trimming precedes ploughing the fields and scattering "the good seed on the land". In the Autumn, gulls feast, flap and squawk on newly ploughed red earth. Snow flurries announce the imminent arrival of winter flocks of migrating birds. Buzzards and Peregrine Falcons watch patiently as fieldfare and lapwings trundle along between the fresh green shoots. Golden gorse in January, snowdrops in February, primroses in March, the return of House Martins, Swallows and Swifts in April, bluebells in May, mid-summer fetes, agricultural shows and harvest festivals. This really is "Home to the Countryman".